Though you might be expecting Parmesan, this vegan polenta relies on a combination of simple ingredients for its creamy texture and spot-on flavor. Even the buttery consistency of the leeks contributes to the luxury of this dish. This creamy vegan polenta recipe is a sample from The 30-Day Vegan Challenge by Colleen Patrick-Goudreau. 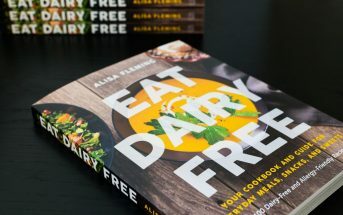 You might know Colleen from her top-selling cookbooks, The Joy of Vegan Baking, The Vegan Table, and Color Me Vegan, but she is venturing into multimedia with The 30-Day Vegan Challenge. 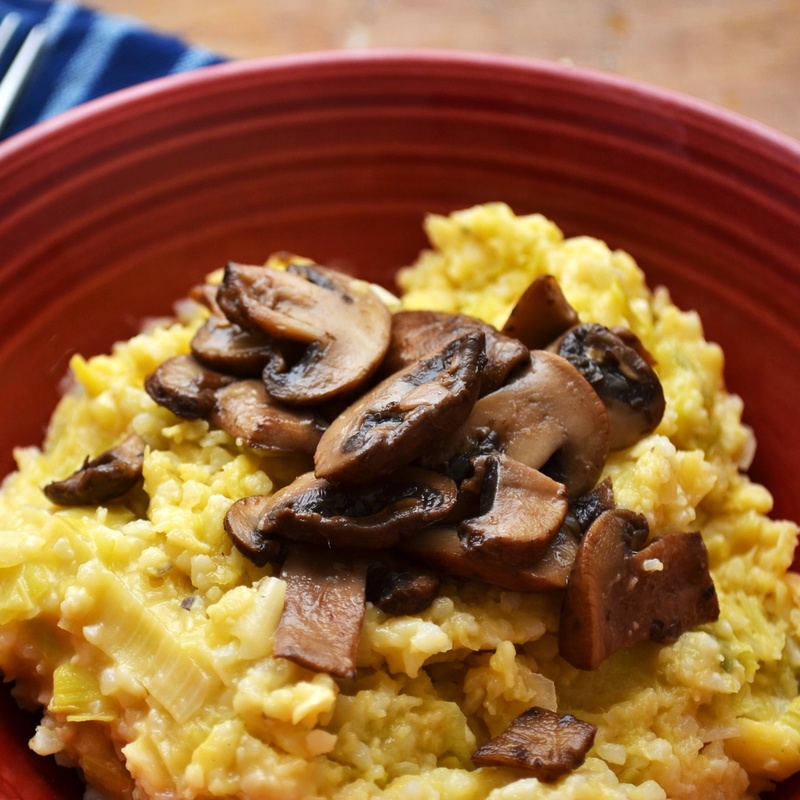 As pictured below, vegan polenta pairs beautifully with the chewy texture of sauteed mushrooms. Colleen recommends slicing some cremini, shitake, or porcini mushrooms, and then sautéing them in a little olive oil with some tamari. 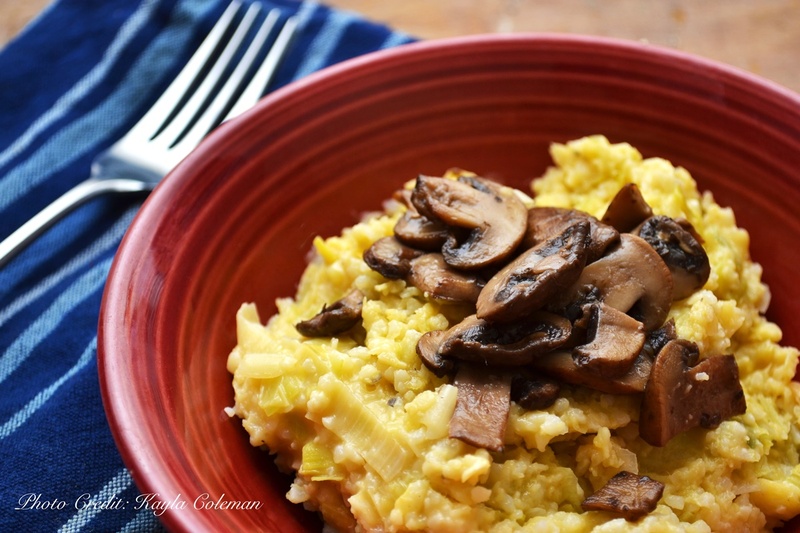 Use the cooked mushrooms as a hearty garnish on the vegan polenta. If you happen to have any leftovers, then you are in for a treat. Polenta sets up as it cools, so you can pour any leftovers into a baking dish and store it in the refrigerator overnight or for a couple of days. 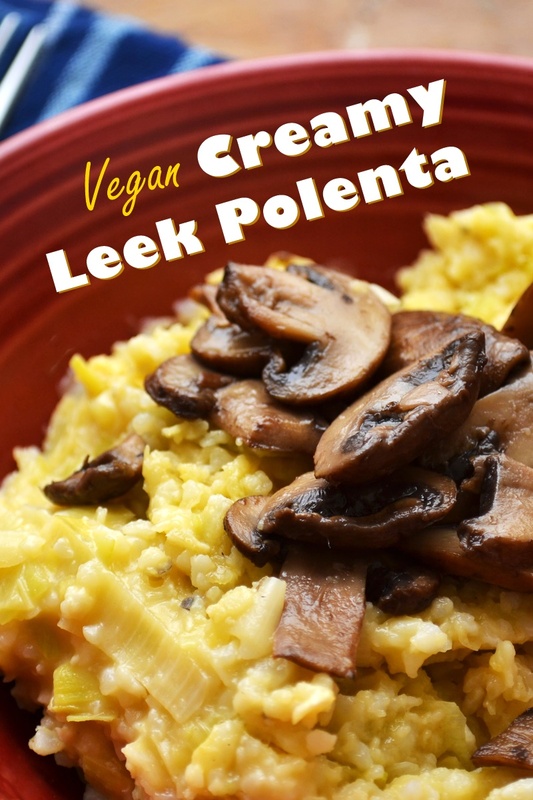 To serve, simply cut the vegan polenta into squares and saute, bake, or grill it. I like it topped with a simple chunky tomato sauce for lunch, but you can also use small squares of the polenta for party appetizers! Recipe by Colleen Patrick-Goudreau, from The 30 Day Vegan Challenge. Melt 1 tablespoon of the margarine in a 4-quart saucepan over medium heat. Add the leeks, and stir to coat. Cover and cook until leeks soften, stirring occasionally, about 10 minutes. Add the water and broth, cover, and bring to a boil. Slowly pour in the polenta, while whisking simultaneously. Whisking is essential, or the cornmeal will clump up. Reduce the heat to medium-low, and cook until the mixture is thick and creamy. At this point, you’ll want to switch to a wooden spoon, stirring often. As it begins to thicken, add some of the milk alternative, stir, and continue cooking. Add about ¼ teaspoon salt. 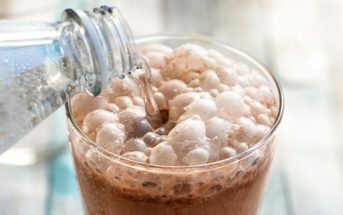 Continue stirring, cooking, and adding more milk alternative and salt, until you’ve got a creamy mixture and the taste is just right. Remove the saucepan from the heat, and stir in the remaining tablespoon of margarine. Season with salt and pepper, to taste, and divide the polenta among plates. If you want to make it oil-­‐free, you can eliminate the margarine completely (sauté the leeks in a tablespoon of water instead.). The margarine definitely adds more creaminess and salt, so adjust accordingly. This Polenta recipe is AWESOME – thank you. Sounds so yummy! What if you are using precooked polenta (in the tubes)? How does that work in combining everything? I am assuming you could just mash it up and it would have the same end result? Polenta in the tube is already a finished polenta product, so it wouldn’t work in the same fashion.